Content marketing agency Edge has appointed international marketer Jonathan (Jonny) Clow as managing director of its Melbourne office. 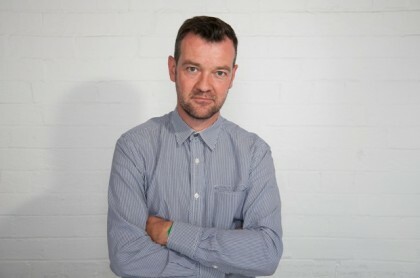 Previously the managing director and founder of BD Network Australia and director of BD Network London, Clow has 17 years of experience leading brand strategy and marketing campaigns for a variety of international blue-chip clients including McDonald’s, Coca-Cola, Whiskas and Nike. While Clow was leading BD Network Australia, the agency was voted Australia’s Best Emerging Agency in 2011 and Australia’s Best Small Agency in 2013 (AdNews Agency of the Year Awards). At Edge, Clow will be driving conceptual and content development across the agency. His appointment is an integral part of Edge’s new agency model, which allows Edge to anticipate and respond to the fast-moving environment of digital and content marketing. Edge joint managing oartner Fergus Stoddart said: “Consumers are looking for content that integrates with and adds value to their daily lives. Brands can no longer rely on traditional forms of advertising to reach people, but a mix of conceptual creative and content can help people engage with brands on a deeper level. It’s what we refer to as creative storytelling and it’s the future of marketing. In the last six months, Edge has attracted a high calibre of new employees with extensive experience, locally and abroad, in experiential and real-time marketing and branded entertainment. These include Mark Higgs and Andie Tickner as group account directors and Danielle Welton as head of content. These appointments represent a clear and deliberate decision by Edge to transform content and way brands communicate with people.